What Can You Make With a Dandelion Flower? Probably one of the most recognized flowers in the world, dandelion has gotten a bad rap from the lawn-loving crowd. No matter what product or treatment that is puffed, sprayed or sprinkled on them, the tough little flower keeps rearing its golden head. Stop trying to rid yourself of this useful and tasty plant—Try one of these ideas instead. Sweet and pretty, this is a nice way to store the sunny taste of dandelion. Be sure to try this treat on freshly baked biscuits! Are your wrinkling your nose at the thought of weed flavored jelly? Don't despair! This tastes bright and sunny, lemony with a hint of floral. It really is a taste that you can't quite put your finger on but is pleasing to anyone who tries it. Gather your blossoms throughout the season, and store them in a glass jar in the freezer! That way, you can keep adding to your stash, and make your jelly once you have enough. One of the first gifts from the earth in the spring, dandelion greens are delicious and fun to gather. Try this recipe for a healthful treat. Sauteed Dandelion Greens. Also, you might want to know that Dandelion greens dry beautifully. You can dry them in the dehydrator all season long. Once you have a lot of dried leaves, gently crush them into small bits and add them to herb tea mixes, sprinkle into soups and stews, and shake directly onto salads. If you have goats, they would enjoy eating dried dandelion greens. For them, however, just pull up the entire plant, dry them on newspaper or in burlap sacks, and feed all winter long. 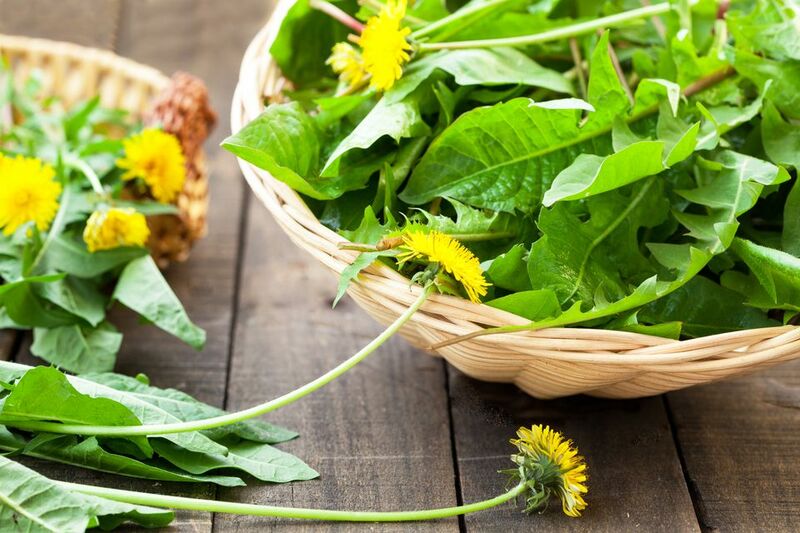 Knowing how healthful dandelion greens are for us and our animals to eat, it should come as no surprise that dandelions can be used in herbal fertilizer to give back to your garden as well. They are loaded with micro-nutrients that most soils need. It just makes sense to put the unused portion of dandelion back into the ground. Dandelion has gentle, pain relieving qualities. I use it in my muscle rub and keep it on hand all year round. This easy to make herbal remedy works great and really works for those garden sore muscles. After making your infused oil, make a simple herbal salve or balm. This is much neater for carrying around in your purse or bag. Salves like this make wonderful gifts as well. I like to scent mine with a bit of lavender essential oil. Now you have a secret of mine that sells well at craft shows and is always a welcome gift. 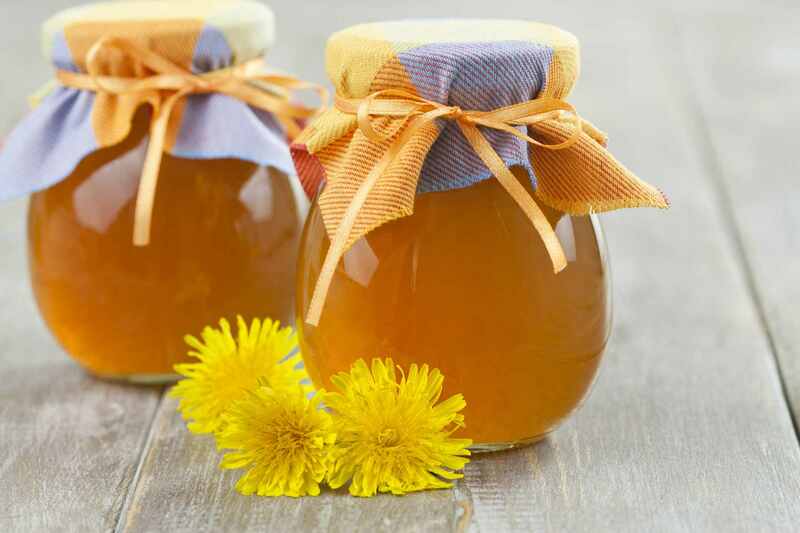 Of course, dandelion honey is a must-have for any herbal loving person! It is a good substitute for honey, with a surprisingly similar flavor.